The 7/20/18 Red Rock News editorial by Christopher Fox Graham is headlined by “Council, don’t listen to squeaky wheel NIMBYs.” Sounds good doesn’t it? And it strikes home into the willing skeptics among us. But, as a good solution to our traffic problems, it is just about a zero. Graham has little education in highway/road/street design as far as I know, so as an expert in the field that’s a gigantic and questionable assumption. As editor of one of our news media, he does have license to voice his opinion – just as does my Aunt Tilly. My judgement as a past registered professional engineer in three (3) states, including Arizona, is that they (Graham and Aunt Tilly) are close to being equals. As the anointed funnel for the Chamber of Commerce for all chamber propaganda about tourism, this news outlet (RRN) is not unbiased and has never to my knowledge or recollection offered anything of technical value or related to engineering practices to expose the cause for our traffic problems. That includes the mostly unrelated nonsense in the editorial by Christopher Graham referenced above. 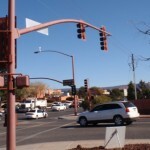 Too bad their (RRN) prejudice has been thrust upon a public audience which exists without much knowledge in the realm of the highway engineering profession: No, Christopher Graham and Kyle Larson, the only cause for our traffic situation is the tourists coming in hordes to drive through or stay in Sedona. The Chamber of Commerce (good customers as they are for RRN paper) is on a tear to get more of them to visit and bring their cars, trucks, and vans to take up the road space we have available (and shove us guys aside in so doing). The terrain is not flat, so normal traffic designs are not readily available for us like they are elsewhere in this nation. This Sedona Arizona City Council has raised taxes every year and approved new annual rate increases through 2020. But to have spent hundreds of thousands of tax dollars for engineer consultations (reports) over the years and come up empty of engineering fixes, as the past councils have, must tell us the solution is not an engineering one. Which, even though you don’t like it RRNEWS and Chamber, leaves only the obvious. Too many tourists. So then, intelligent hard nosed thinking has to lead us only in this direction which is to control the volume of tourist traffic and save us from becoming another tourist trap like Branson, Missouri or Ruidoso, New Mexico. 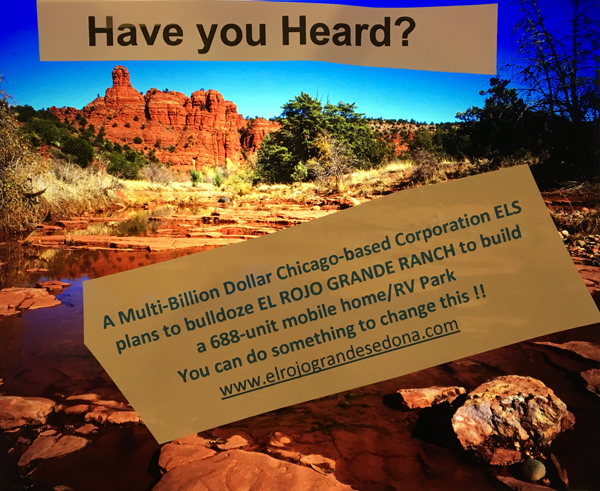 The solution is not the almost entirely useless and wasteful Sedona in Motion concept being promoted by our city council and city staff. The only real solution will require much more than prejudiced decisions, but rather a big bunch of compromising among all of us residents on how much tourism we will tolerate. We must have a new city council to reach this decision and the goal for containing traffic snarls. As the anointed funnel for the Chamber of Commerce for all chamber propaganda about tourism, this news outlet (RRN) is not unbiased and has never to my knowledge or recollection offered anything of technical value or related to engineering practices to expose the cause for our traffic problems. I might enjoy saying Segner, Clifton and the city are illiterate misinformed (deleted by editor) but why would I state it? What may concern me is that the chamber of commerce and the media may know it as fact and use it to an advantage dollar after dollar but I certainly wouldn’t share those worries with an uncaring community. I may have zip sympathy for citizens of Sedona who don’t vote (thinking they deserve what they get) and those who vote without looking at their wallets and seeing whose hands are taking its dollars and cents but I wouldn’t say it in public to a disinterested government. Silence is golden and it’s what keeps those in power in power but I wouldn’t suggest it to anyone else for fear of retaliation and being asked to leave a local restaurant for my beliefs. Happy dark skies and fresh air and peace and quiet and driving with the top down and wind in your hair are quickly things of the past in Sedona but why would I care when no one else does but me on Monday mornings and six other days of the week? Mr. Roberts!! 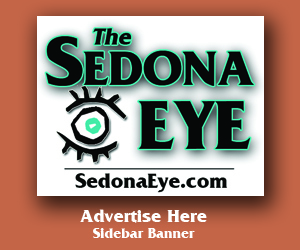 I have written many articles to the Sedona eye in the past and have all but stopped reading it and only stop by occasionally to see whats up. I stopped my daily reading because I became so bored with the rantings of a half dozen people and sure enough, your first response is by the main drag. Do no respond to him, it is a waste of good time and energy. Sedona’s greed , poor marketing choices have already damaged the city. I listen to the tourists complain about the traffic and I say bring more so we become a one visit town and sure enough the word is spreading. My guests leave town as soon as they get here to visit Cottonwood, Jerome and anywhere far from the Y. They ask where they can have dinner away from the traffic. Its really too bad, Sedona is dying by it’s own hand. Not! The Voice of Choice folks were responsible for that absurd roadway, and associated parking lot. Blame the Voice of Choice! …most of those complainers are not deceased. Thx. Nice legacy. Voice of Choice’s silly road! The Chamber doesn’t need YOUR money. The chamber and the businesses they represent are the HIGHEST PAID and WEALTHIEST businesses in Sedona. Stop Funding the Chamber VOTE NO on home rule. I like scenic road 179 and I like 89a. They are properly designed for the amount of tourists Sedona can handle and they are true to the red rock country we are. Deal with it Sedona businesses and let it be. Your greed would destroy everything sacred in Sedona. @Ilikeyourstyle I’m confused by your comment. What’s its point? Your writing was turned down? You only read comments to a couple of local articles and not the rest of the news? Your guests don’t like Sedona and you don’t like the Y? John Roberts has written a great letter and he’s to be applauded for bringing his opinions to attention. He’s right. Thank you for this letter and Sedona Times courage to stay the course of real journalism. I like 179 too Kevin. It’s peaceful and the colors change on the rocks every drive. I mostly love the monsoon rain on Bell Rock as it glistens. Somewhere in my archives there is TV interview with ADOT representatives relating to the re-design of SR179. When asked if a massive four-lane highway which would have been even wider than I-17 and required extensive acquisition of private property became the conclusive re-design, what would happen at the “Y” intersection? Because SR89A going north through Oak Creek Canyon would still require merging traffic to two lanes. The only difference would be to increase the problem! If ever time permits to isolate that particular video it would be a pleasure to make it public on You Tube or elsewhere. No need too, I’ve seen it. At least your “traffic jam” woulda been centralized, and 12 miles of your 38 mile-long parking lot, would be “traffic-ready” for today. Hate to say I told you so, but my I have my… “Haha, I told you so!” …in my archives too. HaHa told you so! June 27, 2018 at 2:59 pm. Yes Betty, I hate the Y and I hate the crosswalk at tlaquegreedy. I hate the sides of the roads on dry creek destroyed by cars parking along non road sections. I hate the destruction of the trails and the litterbugs that come in and trash the roads while they sit in long lines of traffic. I hate that I can not go to the grocery store when I want . I hate that circles are going up all over the place in AZ just like 179 and 260. The east coast no longer builds these circles or roundabouts. The engineer moved here and Wala, job security. I like that he still has a job. I hate that 3 million visitors do not know how to drive circles. Sorry stevie, NONE of the bed tax money has to go to the chamber. You are the one that is saying things that are not true. That money could be used to mitigate tourist impact. None of the bed tax belongs to the chamber. Next thing you will be asking for all the sales tax too. Next time you drive or sit in traffic on 179(soon to be increased by the very high Westin coming in at the outlets) notice that the sides of the road have already been cleared and readied for expansion for most of the road leading into Sedona the city. ADOT can’t stand Sedona . I’m voting YES for Sedona Home Rule because I believe in making progress in Sedona for our community. Keeping the city’s budget and having them operate it, ensures the nonprofits I support will continue to be supported. Sedona Public Library, Meals on Wheels, Verde Valley Caregivers, Sedona Recycles and more, depend upon support from the city and we have community members depending upon them everyday. Join me in voting YES on Sedona Home Rule. Change can be difficult and Sedona has seen a lot of it over the years. But, our city has a plan to help us moving forward with change, especially when it comes to traffic. We need Sedona Home Rule to pass in order to keep Sedona in motion. Traffic enhancements are planned and I’m looking forward to the benefits to our community. But, they won’t happen without Sedona Home Rule. Join me in voting YES for Sedona Home Rule and let’s keep Sedona moving! The police department is vital to our community. If Sedona Home Rule doesn’t pass, the police department will have to cut 10-15 positions. Did you know they provide a resource officer at the Sedona Red Rock High School? If Home Rule fails, the school loses its officer. I’m not willing to put our students and their safety at risk on such a wide open campus. Join me in voting YES on Sedona Home Rule and let’s keep Sedona and our students safe! @Shobie Are you another road engineer genius? Were you among those who redesigned uptown Sedona after the city took ownership? Brilliant! It will now cost millions of dollars in an attempt to correct the blunders. And WHY after completion should we anticipate it will function any better than the first flop? Leave the road designs to the experts, Shobie. PLEASE! @steve Segner Thank you for your valuable contribution. It has just confirmed my decision to VOTE NO ON HOME RULE was the correct choice. Also I will NOT be voting for incumbents. Again as in the past I find your guerrilla tactics (same as Red Rock News) extremely offensive. More BS from Steve Segner. Three new hotels are coming down the pike, so traffic won’t change for the better. There’s the Marriott Residence Inn (88 rooms), the 126-room Oxford Hotel and the 40-room Ambient Hotel. Multiply each room by 6 to 9 extra car trips per day, and you’ll see why the planned traffic “enhancements” will not keep Sedona safe or moving. The City’s Public Works Department reports 50% of Sedona’s traffic is passing through. Day-trippers galore are also adding significantly to the clogging of Sedona’s streets. In the year 2020 traffic from new hotels will be coming online. Sedona in Motion is a fantasy. Bed tax collections are in the City’s operating budget (General Fund). By law only the one-half percent increase in the bed tax effective January 1, 2014 must go towards tourism. This one-half percent increase does not have to go to the greedy Chamber of Commerce. Explain again why when the Library gets over $1.2 million from our property tax is the city giving them $400, 000 that they just put in the bank? Explain again why the School District, which is not a part of city government, gets a free “Resource Officer”. Explain again why Mayor Sandy, who is chairman and CEO of the Sedona Wine Fest, gets $8000 from the city? Explain steve why your group, The Sedona Lodging Council, deserves $2.5 million, that by law could be used to mitigate tourist impact? Your $2.5 million is what you are really worried about steve. Steve THEY(you know of whom I speak) don’t care about a resource Cop at RRH..
As long as the can save .28 cents it’s all good..
“THEY” only care about there own SELF serving interests .. The best part is, the Sedona police chief thinks VOCA is safe enough. Why, because he lives in VOCA. You dummies in Sedona keep paying for the stupidity of incorporation. City staff is robbing you blind. Vote NO on Home Rule Stop paying the regional chamber over 2 million a year. Stop advertising Sedona. Wait and see. We taxpayers are paying to service the chamber. Increased police and other city personal. Our city hasn’t grown. All the increases it to pay for the chambers day trippers. steve segner always forgets to mention the $2,5 million the Sedona Chamber and Lodging Council will lose if home rule does not pass. “Gresham’s law of virtue: phony virtue drives out the real thing. It’s partly mathematical – what the government steals cannot be donated – but it goes much deeper. The cynics—right about politics more often than anyone else—suggest good intentions often cloak a ruthless drive for votes, payola, and power.” Robert Gore, Straight line logic. The $30 million Sedona in Motion plan has been said by city management “If it only takes a few cars off the road it is worth it.” Really, $30 million for a few cars? Only someone in government could make such a statement. They always omit the over 50% of cars that drive through but do not stop in Sedona by their own survey. I want to put residents first. It’s your money. Sedona was much better off before the City decided it could do everything better than residents. Please help me take Sedona back, Vote No on Home Rule. First of all, you are NOT Steve Segner who, in fact, can barely write an intelligible sentence. You are his ghost writer, probably Lonnie Lillie. Second of all Lonnie, you’re not so deftly, as you think, attempting to employ the old shell game by lumping all tourists together into a single category since there are low-income tourists, middle-income tourists, and high-income tourists. When I moved here I thought that the City, and its Chamber DMO, would be smart enough to do what the Cities of Palm Desert, Aspen, Vail, Park City, etc and other top performing tourist destinations do across the country which is to market to high-income destination travelers rather than low-income day trippers who can’t afford more than a cup of java at Starbuck’s and some trinkets. People who believed that the Sedona Chamber, as DMO, and the Sedona Lodging Council, would market Sedona the smart way cannot now be labeled NIMBYs simply because they are upset with marketing malfeasance in this town. Those of us whom you now choose to label as NIMBYs, who merely expected better from Sedona, are NOT opposed to inducing those to move here who can pay their way to improve our City. Day Trippers cannot afford to spend money significant enough to upgrade our City to the status of those towns I referred to above. Let’s face it…we have total marketing losers merchandising Sedona in a way that is destroying our quality of life standards here. It’s time to put Sedona’s Destination Marketing services out to competitive bidding. Furthermore, we should never pay for Destination Marketing unless we, as a City, have the authority to audit the recipient of those funds at least annually as well as hold them up to exemplary published performance standards. Vote for Permanent Base Adjustment and NOT for Home Rule! IMO The reason that Segner, Lillie and Wesselhoff, as well as the City Manager, are promoting “YES” on Home Rule is so that they can keep using public funds to market to hordes of Day Trippers who spend at retailers who sell low-end products who also just happen to be close friends of the Home Rule promoters. Wrong! Actually it is way past the time to end the City of Sedona’s Destination Marketing altogether. Those who want to hawk their business can do it on their own nickel. NO City funding of advertising for anything! City Council & Staff? Are you paying attention or will the only message you take seriously be the one forced on you as reflected by the voters in August and, perhaps, November? Heads up Sedona voters. Want change? Your vote is your voice that matters. Believe it or not, I could live with your concept. You’ll get no argument from me! Sedona has been a dismal and perpetual failure at learning and employing the above-mentioned formula. Why? Government enablers first have to have a business and economics background with demonstrable experience and a track-record for success in those disciplines! Then, too, they need the moral character to resist the relentless influence-peddling of the Sedona Chamber of Commerce and the Sedona Lodging Council. Because nobody knows for certain what the outcome of the current election will be, there is one thing we do know. Sedona might have new faces on the city council – or not. Home Rule may or may not remain in tact. However regardless of the outcome, be it “business as usual” or an opportunity for changes, PLEASE PLEASE Sedona voters, when the votes have been tallied and the results are in, kindly accept the final decision made by residents of Sedona and stop bellyaching. Be adult and accept the voice of the people and if you don’t like it, in two years there will be another opportunity to renew the process and speak your minds. Let us hope Sedona residents will react to local results with a kinder and gentler example by displaying better sportsmanship than that which has been offered from opposition to the outcome of the national election short of two years ago. The results of that election perhaps remain the single most shocking outcome of the unexpected. And the ongoing unwillingness of those who continue to refuse to accept the will of the people remains a disgusting display of hostility. Will the future of Sedona’s geographical beauty continue to be smeared unfavorably by those unwilling to abide by the majority? Voice of Choice ruined 179 and single-handedly created the Sedona Parking Lot, with their silly roundabouts. Who are they? Let’s talk about the state of jeep tour businesses in Sedona. Jeep companies are taking time away from their customers’ tours because they are stuck in traffic. The Jeep companies have two choices, decrease the number of tours per day to give the customer what they paid for or keep charging them for sitting in traffic and that is going over well. Now Pink Jeep is for sale, I wonder why they thought now was the best time to cash out? I hope the new owners are aware of the reality of the decreased numbers of tours they can sell. Sedona is worth a lot of money on a personal level to many individual business owners and large corporations. It would better suit these people to turn Sedona into a city that exists to serve the needs of the tourists and home owners can just move on. The future of Sedona looks bleak unless the residents VOTE NO on home rule and limit tourism. We all agree that no funds from the city should be used to promote Sedona. No more money should be given to the Chamber of Commerce. Tourism should be decreased in Sedona, so it remains an enjoyable place that people want to live in and visit. How can anyone claim the national election was the will of the people? Hillary Clinton received about 2.9 million more votes nationwide, a margin of 2.1%. More people voted for Hillary than any other losing presidential candidate in U.S. history. When is the U.S.electorate going to get good presidential candidates to vote for? In Sedona we have secretive, non-transparent Citizen Engagement Groups, some with City Hall cronies such as Jennifer Wesselhoff. Jen is, or has been, on the Dells Land Use Work Group, Revenue Forecasts Work Group, Uptown Parking Group, and perhaps more. Citizens have every right to voice their objections. Currently there’s a breakfast club. The City Manager talks about how disastrous a NO vote on Home Rule will be, a City planner talks about Sedona In Motion, and Jen pats the Chamber on the back for taking a few hundred thousand less that the $2.5 million the City budgeted. Thank you Mike and others for SR 179 and our roundabouts, it makes the drive beautiful and gives me time to smell our Sedona roses. I’m seriously considering a Home Rule vote to slap the hands of the Sedona Council and chamber. Thumbs up for loving MY Sedona. NO MORE TRAFFIC. It’s polluting our city and rocks. Sedona is serenity and dark skies and not cheap Indian knockoff jewelry and middle of the road overpriced artists. 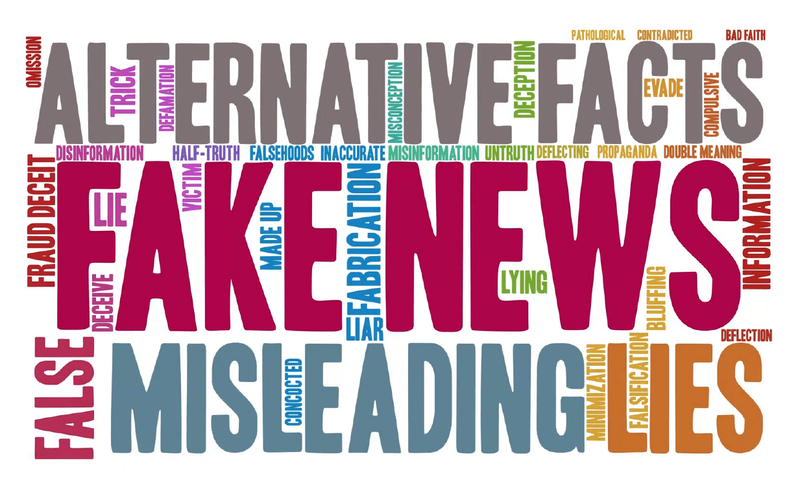 Just because you give your stores Indian names and have tourists go to slide rock and destroy our water quality and leave trash by the tons doesn’t give you credibility. I’m voting against this council. Well there was a plan for Nat. Monument status for Sedona that would of solved that problem… But people like you and AZ Liberty didn’t like that idea… so live with it now ok…. No to National Monument was right cause, No to city council is right cause. National Monument completely separate impact than tourists sitting in cars on our roads. Chamber proved that a No vote on National Monument correct by cars we see now. Not voting for them now either. Accept responsibility council. I hate waste, lying and stupidity. When the city unnecessarily gives the chamber $2.5 million, they only spend $600,000 of that on advertising, and then that advertising produces visitors that by the city’s own study produces traffic that only 50% even stops on their drive through Sedona? The city has a small grants program that first decides how much to give away, and then finds people to give it to? If they are not that qualified, well, we have to give the all money away? REALLY ? Our Community Development director retires, while making over $117,000 per year, they combine jobs withe the Assistant City Manager at $135,000 per year? If they were both actually working 40 hours a week that would be impossible. I would guess one or both were not actually working. I’d bet both. If you are not mad and want to cut the waste you are not paying attention. I agree Tony I hate waste, lying and stupidity . That’s why my vote does not go to YOU.. They are running scared, you can tell by all the presentations by Justin Clifton with 40% inflated budget numbers. City/chamber employees should start looking for a job now and beat the rush. Today I saw a road side sign. Well the no vote stops any and all traffic solutions? A no vote means the new tax hike for roads goes to a bank account we can’t use? So how do we exactly make for less traffic by not fixing or addressing the problem? And please dont blame the CC on traffic…Things were getting bad in 2008, the world markets crashed (have you forgotten? )…As things improved traffic got worse, city council did not address it fast enough.. I have never seen a spring break like last year!….I could walk faster than drive many hours in the day!….You cant blame that on CC, blame it on a nitwit governor! Only 4 cities had law prohibiting short term rentals. So I would say our past city councils did well to keep it that way….Not the CC fault but our very own governor! So I ask again, how does that no vote help traffic?….and how long will it take to get better doing nothing? Blaming traffic on the governor is ignorant. According to the City’s Public Works Department, 50% of traffic doesn’t even stop in Sedona. Not only is the Chamber of Commerce bringing in plenty of drive-through traffic, but day trippers galore are also clogging out streets. Let’s get real. The City is being run for tourists. The .5% to fund Chamber created traffic will solve very little. Coming down the pike are the 90 room Marriott Residence Inn, the 126 room Village at Saddlerock Crossing (Oxford Hotel), the 40 room Ambiente Hotel, low income housing and the Shelby/Sunset Community Focus Area Plan, aka the AAA Industrial Park CFA, which includes over-development and taller buildings.